Live streams started out as something completely spontaneous, mostly done on mobiles, with no need for high quality image and audio. Fast forward to a few years and live stream has become an elaborate and powerful communication tool. So, to make sure you get better results out of your broadcasts, watch out for these 7 most common live streaming mistakes. Doesn’t matter how experienced you are, planning your live stream is crucial to your success. Many people believe they can just “wing it” but it’s just not that simple. There is a lot of competition going on and putting your best foot forward is very important to say the least. Therefore, you need to make sure you’re delivering good content and value. It can be purely entertaining, but it has to be entertaining enough. Moreover, you need to prepare all the material you’ll use. For example, you might need images, pre-recorded video or a slide deck to get your message across. Everything needs to be spot on, once you go live. It’s equally important to outline each segment of the live stream, to make sure your topic flows smoothly. Which brings us to our next topic: Topics. We’ve seen this over and over again, people might choose a topic that it’s interesting to themselves, their brands or products but they completely forget about their viewers. That, obviously, is going to turn them off. When planning your live stream, keep your audience in mind. Think about what is in it for them. Why will it be good for them to put one hour of their precious time on you? Answering the question above, will help you promote your live event. And you need to promote it A LOT. Some live streamers think that just mentioning it once, because it’s an interesting topic, will be enough to get people to “show up”. Unfortunately, in most cases, it’s not. Promote it as often as you can and send your audience a reminder when the broadcast is about to start. 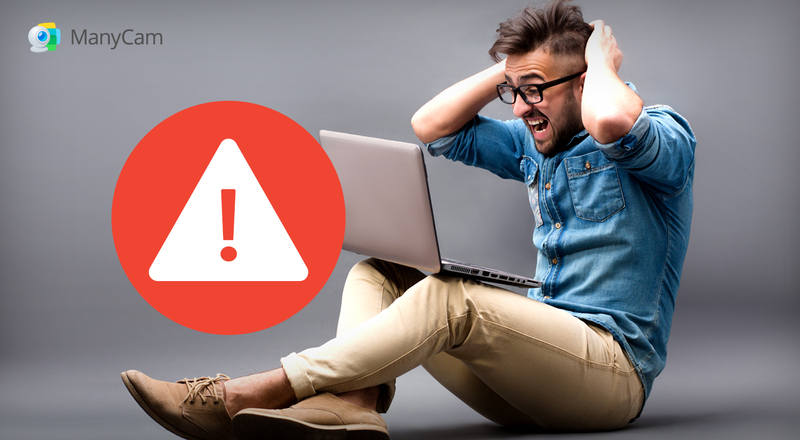 Amongst these live streaming mistakes, this one can be particularly serious and might cost you your whole live event. What’s a live stream without an audience? Inconsistency is by far one of the most common live streaming mistakes out there. If you want to succeed in your live streaming videos, you need to be consistent. Going live on a Tuesday morning and then 2 months later, you do a live stream on a Saturday night and so on, simply doesn’t work. TV shows were successful for so many years because everyone knew when they had to tune in. Your live streams should follow the same principal. The frequency, however, will depend on your availability and resources. So, be realistic when announcing “you’ll go live every Tuesday at 7PM.”. Sometimes, we simply rely too much on technology and forget to make sure everything is working properly. It’s acceptable that a few things might go wrong during a live show, but we should always aim to keep the mishaps to a minimum. The key to achieve that is testing. At least, test all of your equipment, hardware and software, to ensure they are working properly. Ideally, you should do a dry run and record it, to check not only equipment but also the flow of the presentation itself. Tip: When things do go wrong, try to remain cool and collected, simply apologize to viewers and reschedule the live stream. Getting upset, anxious or nervous will put your viewers off. Live streaming with poor quality image, audio, or internet connection can completely ruin the experience for the viewers. Don’t worry, this doesn’t mean you need to spend a lot of money on state-of-the-art equipment. Investing a little can take you a long way. Focus on the essentials: a webcam, microphone, lighting and a software where you can apply a few tweaks to you live streams’ quality. For example, on ManyCam, you can correct the lighting, the colors, noise suppression and so on. To get more tips on how to set up a live stream, here are 4 key factors to setting up a Live Streaming video. As we said before, depending on technology and gadgets can have its setbacks. Sometimes, things just stop working. Having backups, can practically save your life! If you can, keep a second computer with all your material, a webcam and a microphone ready to go, just in case. Creating live streams is more important than ever and if you take your time to avoid these live streaming mistakes, your audience will love it and you’ll get amazing results. Keep Calm and Stream On!